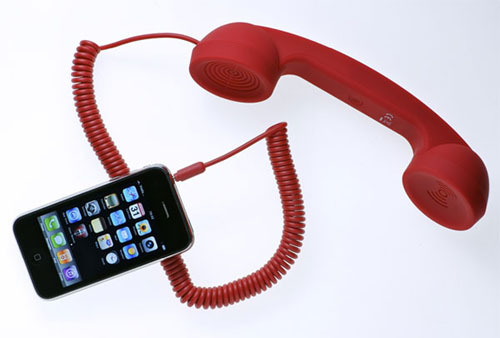 The Moshi Moshi retro handset is highly functional and comfortable to use with your iPhone and iPad. It features noise-reducing technology for a crisp and polished sound. It also eliminates 99% of potentially harmful mobile phone radiation. The Moshi Moshi comes in a variety of colors and has a soft-touch finish for comfort and feel. It’s compatible with the 3.5mm jack on your iPad and iPhone.